Finally the last 2 Black Cat Bases figures I won from the TMP Daily Poll prize a couple years ago) are done! Then there's the female scientist, Dr Ivy Alura. 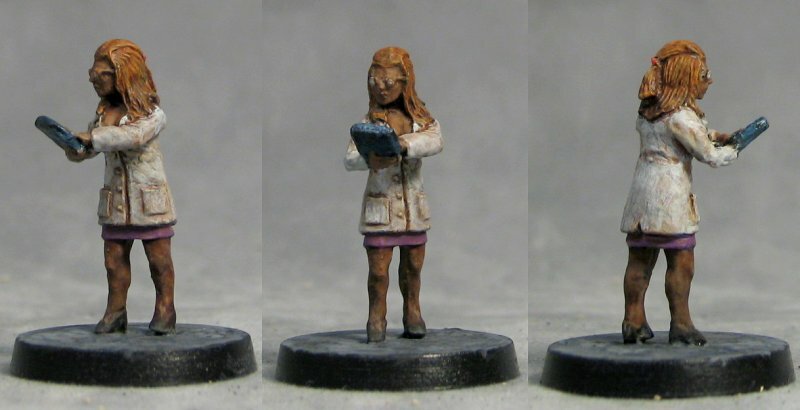 I trimmed the hanging sheet of paper from her clipboard and painted it to look like a tablet computer. 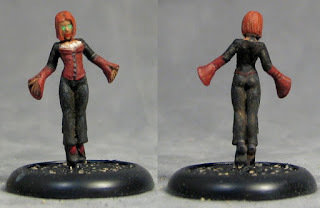 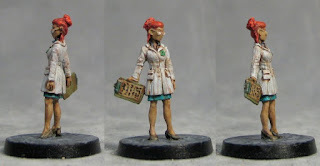 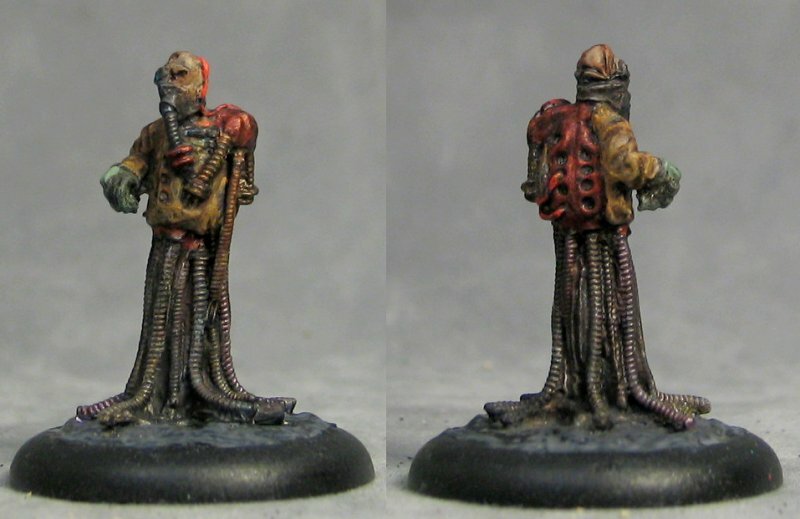 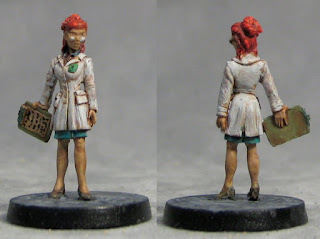 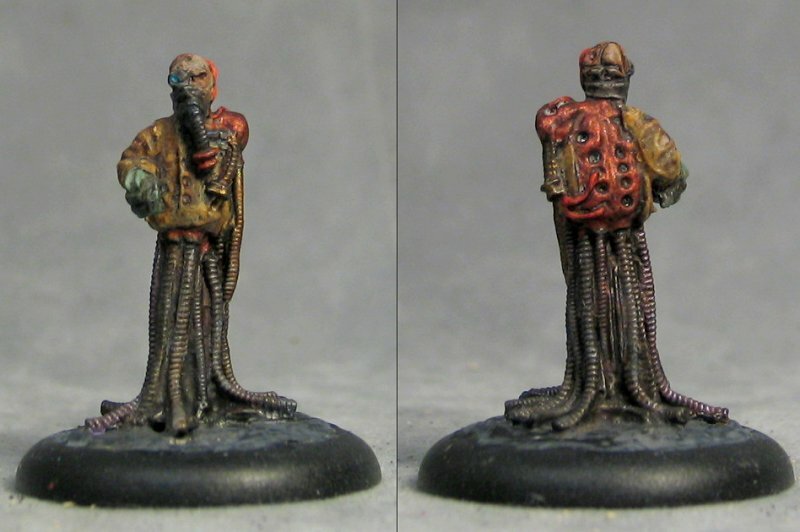 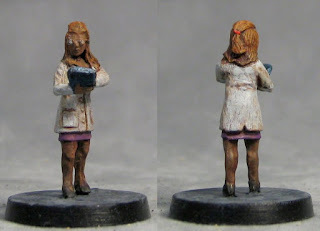 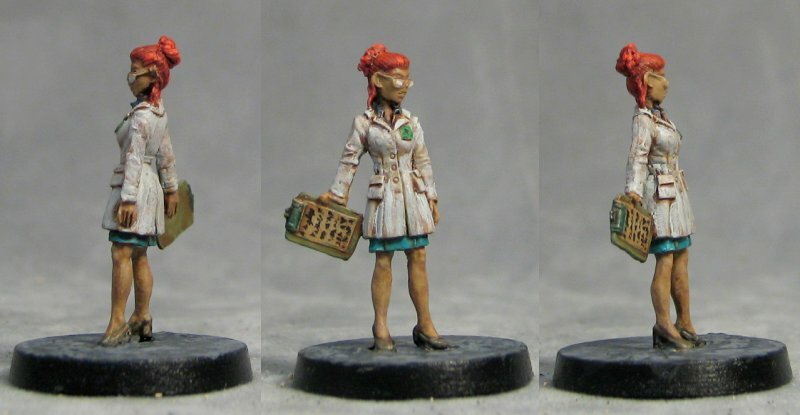 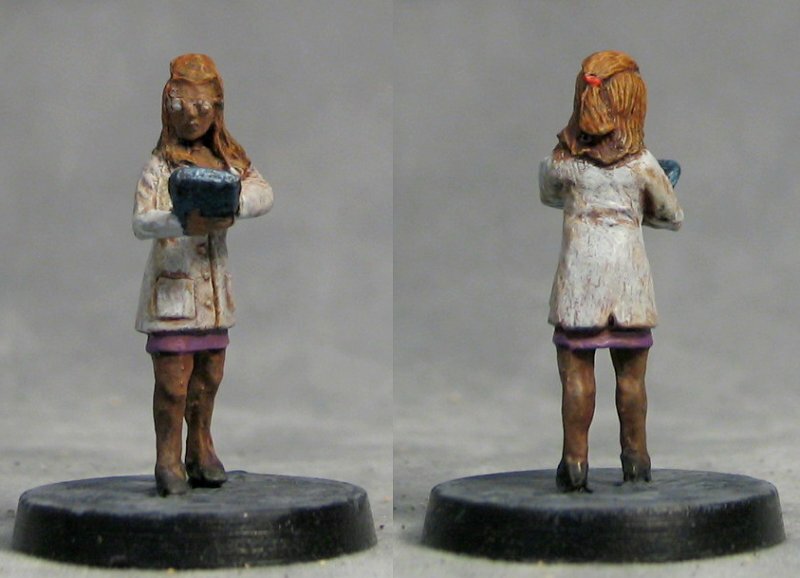 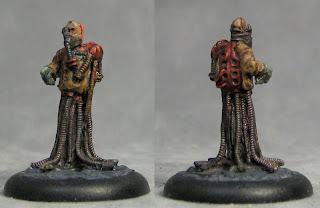 Next up is my first painted Bombshell Babes mini from the Kickstarter, Dr Helen Salinger. 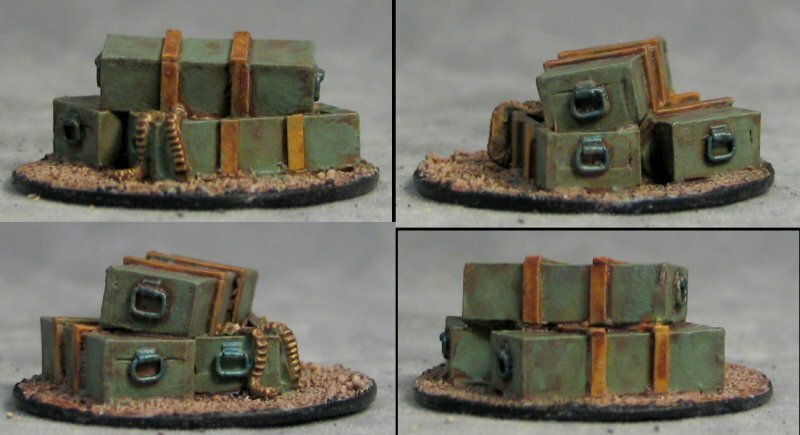 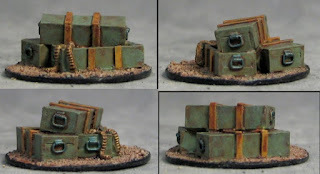 Finally, also from the Bombshell Kickstarter, the Ammo Dump objective marker.